This is the feedback thread for those of you who are testing the SEAT Ateca car for us as part of our latest MadeForMums product test. You should all have received your car by now (or it's speeding its way to you right now!). Please have fun testing it out with your family (and please refer to the document we have sent you about what to look for when you take it out on the road). Please also take some pictures of your family in the car. 1. What did you think of SEAT Ateca when you first received it? What did your children think? 2. What is it like to drive? 4. What do you think of the technology features (eg the ‘full link’ technology, the wireless charger, the electric tailgate etc)? 6. Would you recommend the SEAT Ateca to another parent? The Seat Ateca is a new SUV that’s designed with modern parents in mind. It’s been given a 5-star rating by What Car? and, according to Top Gear, is sharp-looking, well finished, with lots of room, and useful tech – including wireless charging, hands-free boot opening, parking assist and welcome lighting. 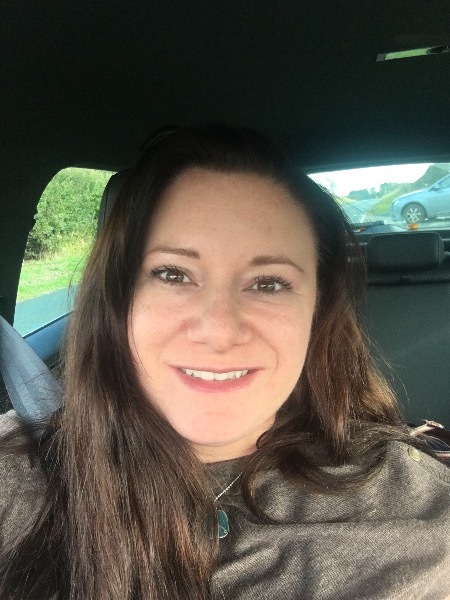 My first impression was, that for a big car, (or certainly bigger than I usually drive) it was smooth, quiet and definitely handled well on the narrow, winding lanes and our steep Devon hills. 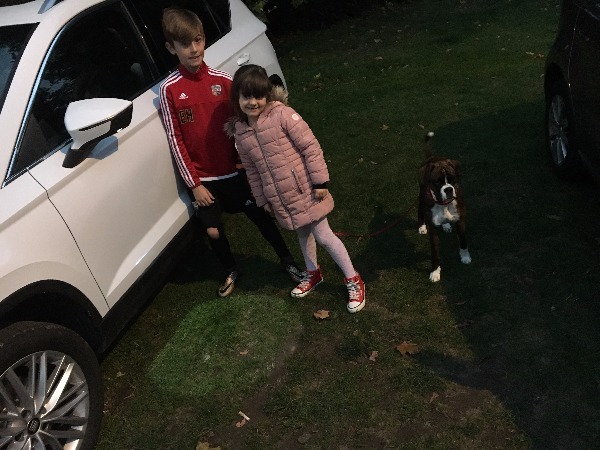 There is loads of space within the car and the boot, for extra children, the dog and all the kit that my car is always full of! My husband has been wooed (as have I) by the 'tech' and within a few minutes he had both our iPhones paired with the bluetooth. 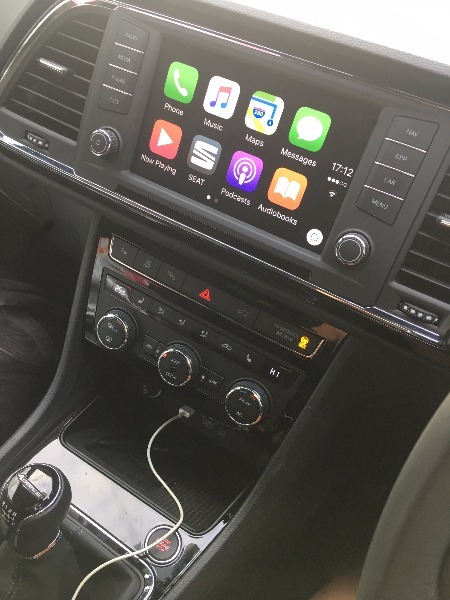 I have really enjoyed chatting as drive to friends and family via Apple CarPlay. Just saying 'call mum' and it all just happens like magic! Using my Spotify playlist has also been a treat on long journeys. The model we are testing is 4 wheel drive and I have to say it is completely fun to drive. The car is surprisingly nippy for a diesel engine and I actually, really enjoy 'the drive' - normally I see driving as a chore, just getting me or the children from A to B, but driving the Ateca is impressive. The range-topping Xcellence trim has an easy to use sat-nav, a DAB radio, heated seats, a reversing camera, rain-sensing wipers and dusk-sensing LED lights. I have to report that the rear parking camera is a godsend and I'm not sure how I will manage without it, the little lines that show you where to place the wheels/steering wheel are just awesome and I can now park efficiently in a space without 'effing and jeffing'. I love those magical windscreen wipers that spring into action when it rains, along with the heated seats - this gadget has ensured that I have a 'hot botty' (I have a 'niggly' lower back and the warmth - along with the huge comfortable seats - makes my drive so warm and toasty!) AND the automatic headlights that light up as soon as I enter a dark tunnel are so clever, but, best of all, we have all our favourite DAB radio stations stored - so everyone is happy! 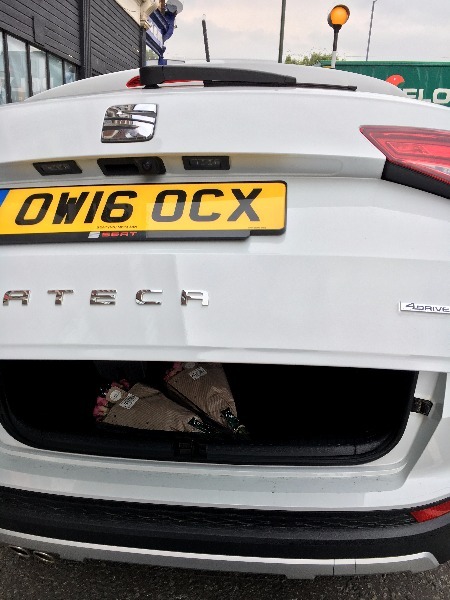 The boot is huge, lots of space for the weekly food shopping or for suitcases when travelling for all the family. There is also plenty of legroom. Our German Shepherd dog enjoys sitting in the footwell of the passenger seat and there is still plenty of space for human legs alongside her! The doors all have pockets and there are lots of cup holders plus a secret space to hide stuff under the drivers seat. There is storage space in the front central arm rest and a glove box that is a fair size. There is a nifty shelf area for your phone and media ports. Where do I start? We have all been won over by the Seat Ateca infotainment. We are a family of iPhone users and linking our phones via bluetooth or the media cable using Apple CarPlay has been child's play. What a great bit of kit! 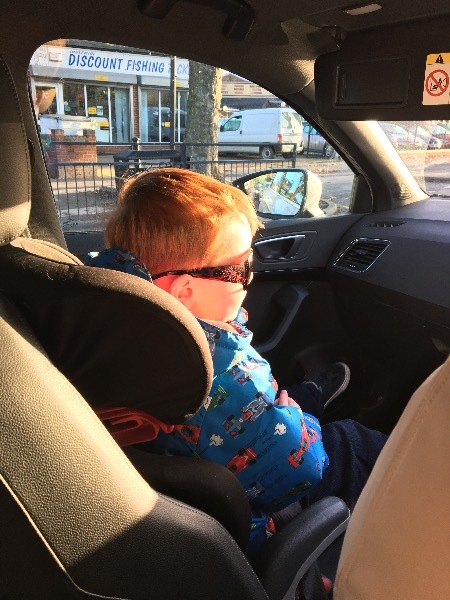 The children had it all 'sussed' very quickly and there are arguments as to who will be 'co-pilot' sat in the front seat using the touch screen, playing DJ for the trip to school and home again. The electric tail gate and virtual pedal is especially handy when you are juggling bags, kit and children! 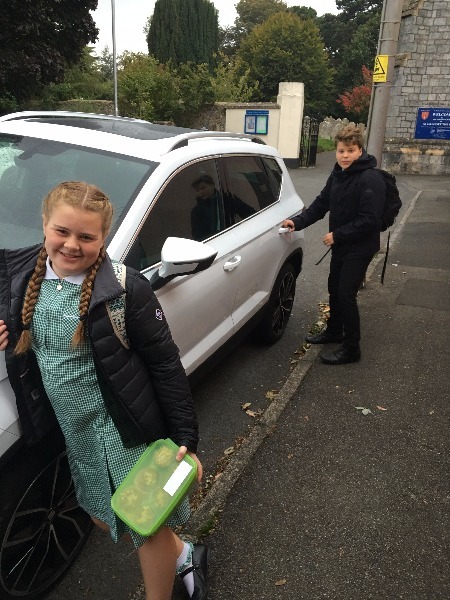 Charlie - best bit - "The Seat Ateca infotainment (touchscreen) system - it is easy to use and it's good that it links to my iPhone as well as my mum and dads. 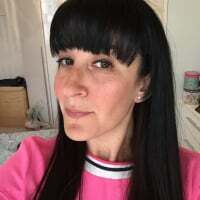 I also like the variety of DAB radio stations." Lexi - best bit - "I love it all!! Can we keep it? I especially love the way it lights the pavement up at night under the mirrors - it's like being on the stage, stage lighting for the Seat Ateca! Mum says it's called the welcome light silhouette. But really it's the best car I have ever been in. Thank you for letting us try it out for you." Funnily enough I have recommended the car to pretty much everyone I meet! I met a retired gentleman today who stopped me in the car park to say he had one on order but could he have a look at the model I was parking. I explained to him that I was testing it and how impressed I was with the SUV. He said he was buying it for his wife as she had really liked the car, when they had gone out on a test drive. He said he was having to wait a quite awhile for the one he had ordered but he was very excited! I so wish I had had this car when my children were smaller - all the 'stuff' you transport when they are tiny - travel cots, buggy's etc... would have fitted in easily. I have to say this car really gets you noticed. I've seen folk do a double take, I have watched people walk around the car in car parks and my friends all love it! And yes, I would also like to add - "Can we keep it?" A few of our photos. It wouldn't let me upload them with my post above - I don't know why? Day 2 - School run! Day 1 - I'm in love! Day 3 - Apple CarPlay in action! Day 4 - Charlie multi-tasking - sorting out the sounds and opening the sunroof! Day 5 - Using the electric tail gate! My two on their first ride in the Ateca. "mum this car is sic!' which apparently is good and doesn't mean unwell! 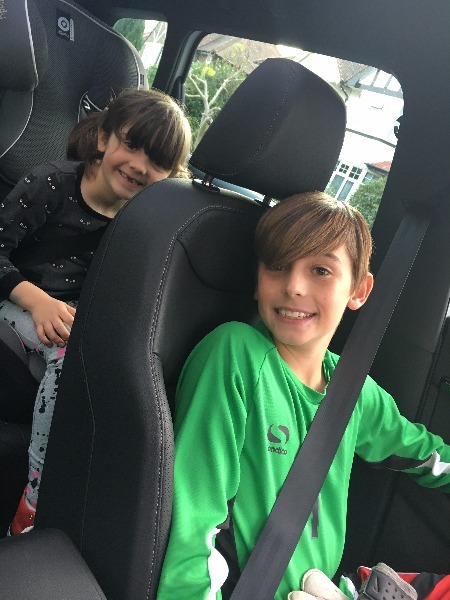 They love being in a car that they can be proud of (rather than the embarrassment of turning up to everything in my 14 year Golf). 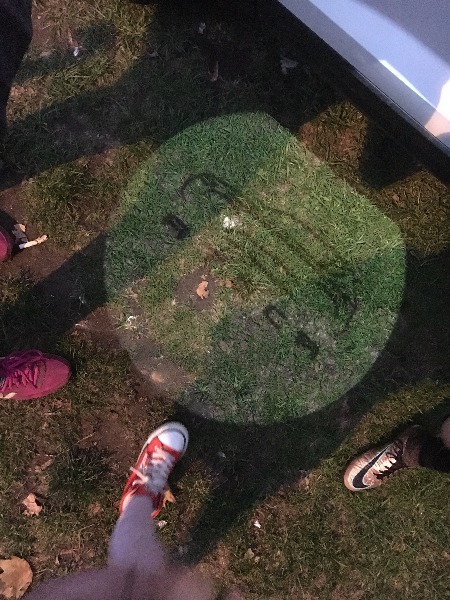 Their favourite feature so far is the spot light that lights up the ground as you get out in the dark. It's very cool. Just picked the kids up from school and another mum commented on my new car 'is that the new Ateca?' I had to 'fess up that it wasn't permanent but just on loan She wanted to know all about it and already knew about the electric boot and the blue tooth features. We stood talking about how marvellous it was for about 20 minutes, our kids were not best pleased! 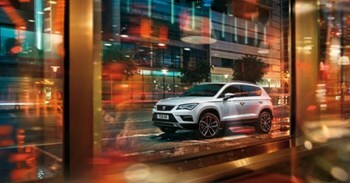 What did you think of SEAT Ateca when you first received it? 1. What did your children think? They were sooooooo excited to be chauffered around in a brand spanking new car. They hate my usual car (very old and unreliable) so this was such a treat, it was like Christmas! It did take quite a lot of explaining that it wasn't permanent and that we were supposed to be testing it. My 10 year thought that meant seeing how fast it would go! My 6 year old thought that meant listening to every pre programmed radio station via the touch screen. 2. What is it like to drive? Great. I have never driven a 4x4 before and I loved being up high. It felt like I was king of the road. I also thought that being a diesel model it would be slow to get going but it was really zippy and excellerated quickly. I loved having more space. Not just to fit in the shopping or the kids scooters or musical instruments but also feeling more spacious in the seat, it just felt more comfortable and luxurious. 3. What do you think of the space inside the car (the legroom in the rear seats, the space in the boot etc) Very spacious and roomy. 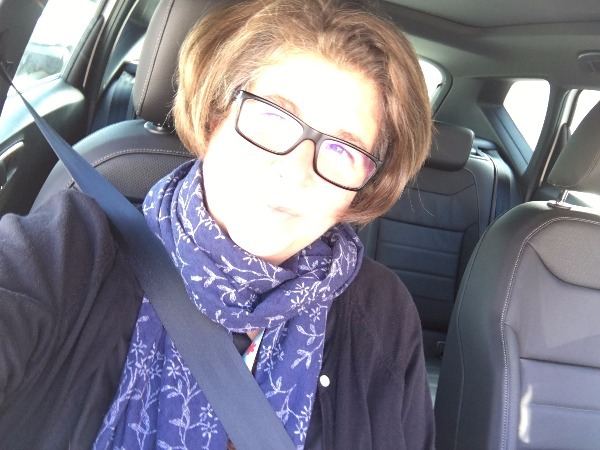 I have never driven a big car and I was surprised how much I enjoyed the space. 4. What do you think of the technology features (eg the ‘full link’ technology, the wireless charger, the electric tailgate etc)? Loved all of the tech. 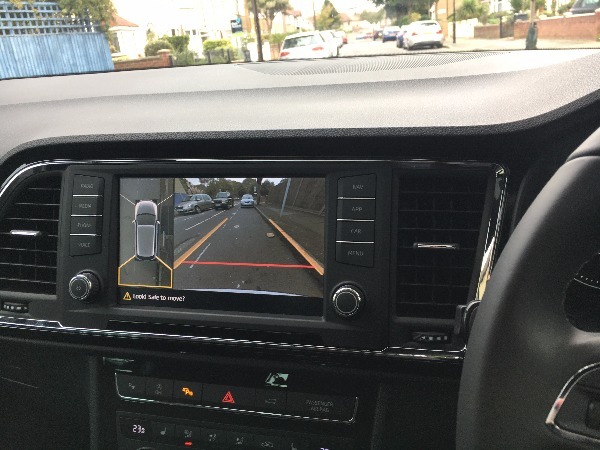 My favourites were the rear view parking camera, which was a godsend with a car that I was initially nervous of parking but it made it very easy to navigate even into tight spaces. I also found the electric tailgate super useful as I usually find myself fumbling with keys and dropping shopping when trying to get everything out of the boot. Even the simple, small things like the bluetooth and hands free phone were great and new to me. These are definitely things I will be looking to have as standard in my next car. 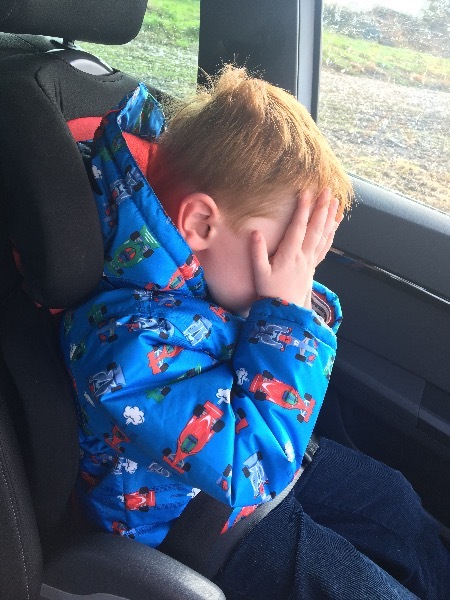 5. of your family in the car (to upload a pic, click the little camera icon at the top right of the 'Add your reply' box) What do your children like most about the car? Please post up the picture(s)They absolutely loved the spotlight that lights up the pavement as you open the door in the dark. It is very cool I have to admit. They loved being driven in such a cool car that they could be proud of. 6. Would you recommend the SEAT Ateca to another parent? Yes and I have already. I was talking to a mum at the school gates today chatting for ages about it. She seemed to know more than me about all the tech. It definitely is a head turning car. What did you think of the SEAT Ateca when you first received it? What did your children think? I thought it looked fantastic; chunky, tough and sleek all at the same time. When the man from SEAT was going through everything with me, I was blown away by the sheer number of technological features! My little boy, William who is three, thought it looked "cool", which is high praise coming from him as he's very hard to please. Fun! During the time we've had the Ateca, it has handled everything we've thrown at it with effortless finesse and (I can't think of a more descriptive word than this) ooomph! What did you think of the space inside the car (the legroom in the rear seats, the space in the boot etc.)? It's really lovely to be able to sit in the back and feel as though you've got as much room as you would have in the front. Both my husband and I are tall and often feel cramped in cars, especially for headroom, but not in the Ateca. At 18 weeks pregnant, it was nice to have plenty of space for my bump too😊. What did you think of the technology features (e.g. the 'full link' technology, the wireless charger, the electric tailgate etc.)? 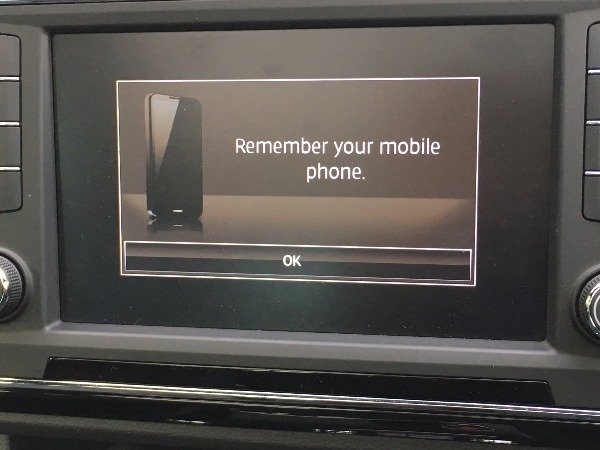 I was astounded - I genuinely didn't realise that all these types of technology in a car existed. As a self-confessed technophobe, when the man from SEAT was demonstrating all the features to me I was dubious about whether I'd cope with them, and was half thinking that it would have to be my other half who tried them all out. However, I have absolutely loved them! The keyless entry and electric tailgate make life so much easier, especially with a child and lots of bags in tow. 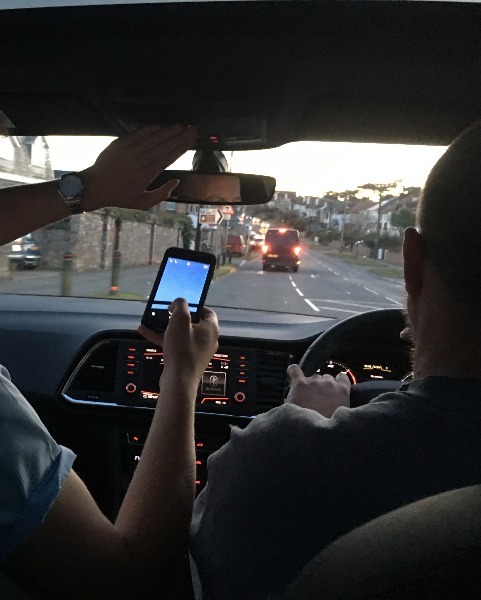 Every single time we've driven the car, we have hooked up our iPhones and used the charger and the Bluetooth technology; it's just so much better than fiddling around with CD players! What do your children like most about the car? 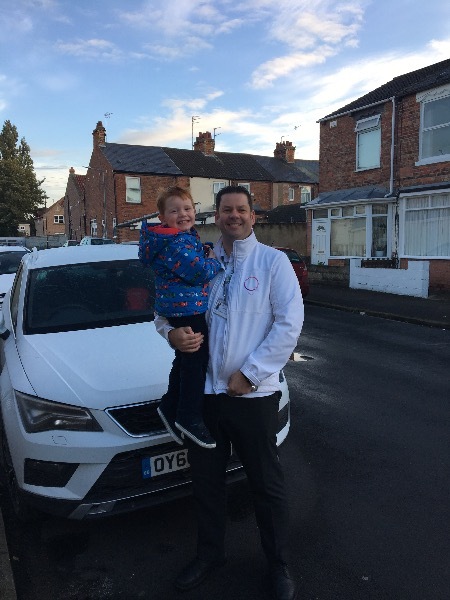 William has loved being able to press a button and ring Daddy through the car (he also finds it highly amusing to disconnect him as well!) and we have had lots of family conference calls which has been lovely. He has also loved the off-road driving profile;we had heaps of fun tackling the muddy country lanes and splashing through lots of puddles. Unfortunately, he wasn't a fan of having his photo taken! Would you recommend the SEAT Ateca to another parent? Without a doubt! Before this experience I hadn't heard of the SEAT Ateca. Now I feel that the Ateca would be top of my wish list for my next car - hopefully in the next 12 months. It's a fabulous car and I would commend it to anyone. Additionally, I feel that I am also much better acquainted with the SEAT brand and a much higher opinion of it. Thank you all for your brilliant feedback. Really great to see how much you all enjoyed this product test!